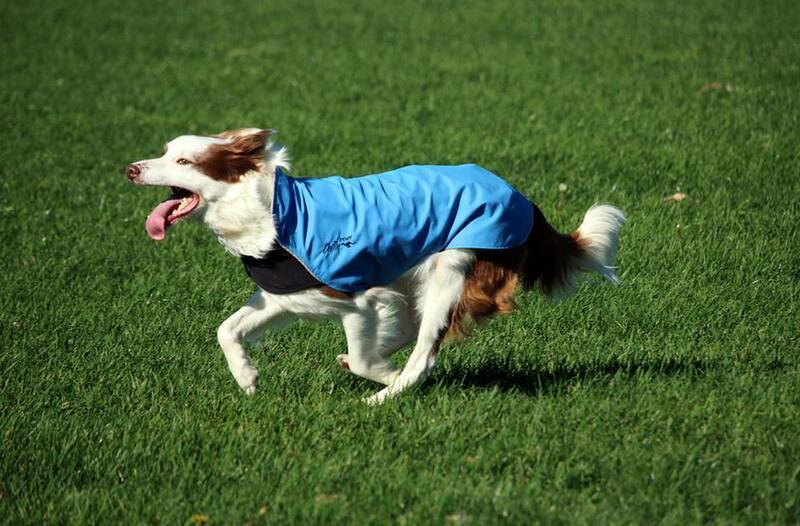 The Rain Slicker Coat is designed for rainy weather. 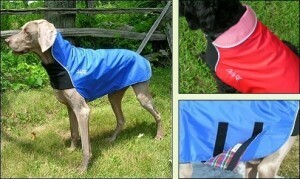 All coats feature an "Easy On, Easy Off" design. 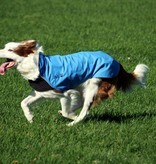 The coat is simply slipped over the dog's head then close the belly panel with the velcro. 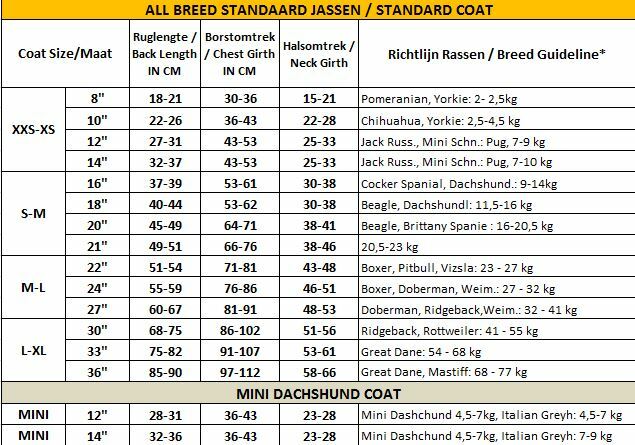 Check further down into the size chart to choose the correct size for your dog. 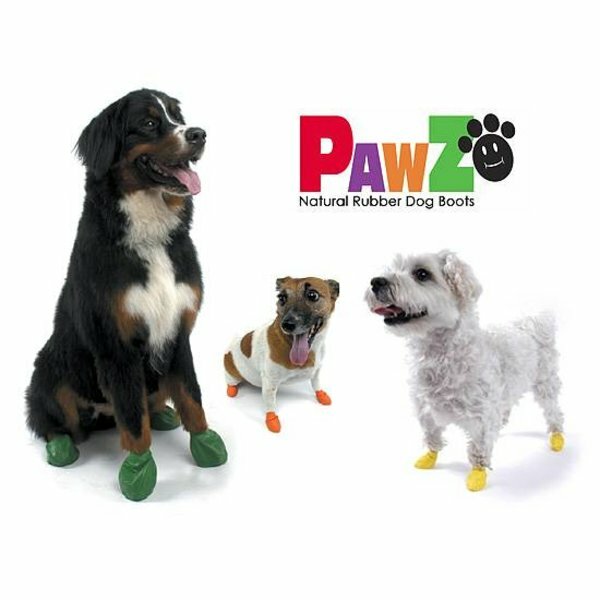 -100% Waterproof polyurethane coated outer shell. Not PVC nylon. 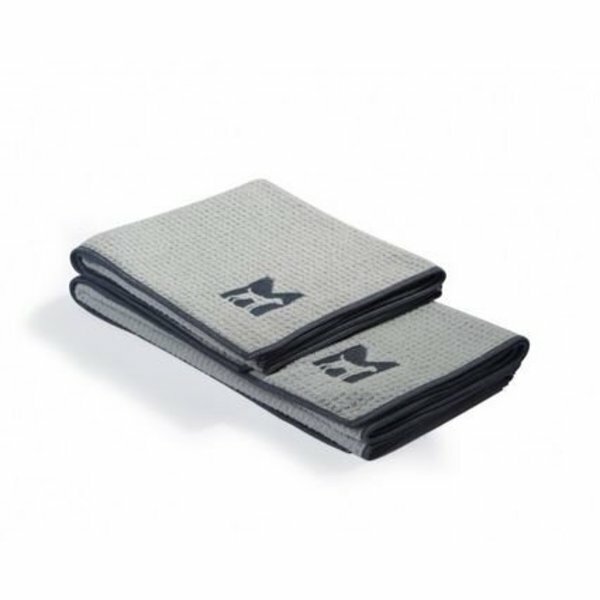 Breathable, durable and machine washable. 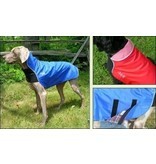 -12oz fleece on front of chest for comfort. 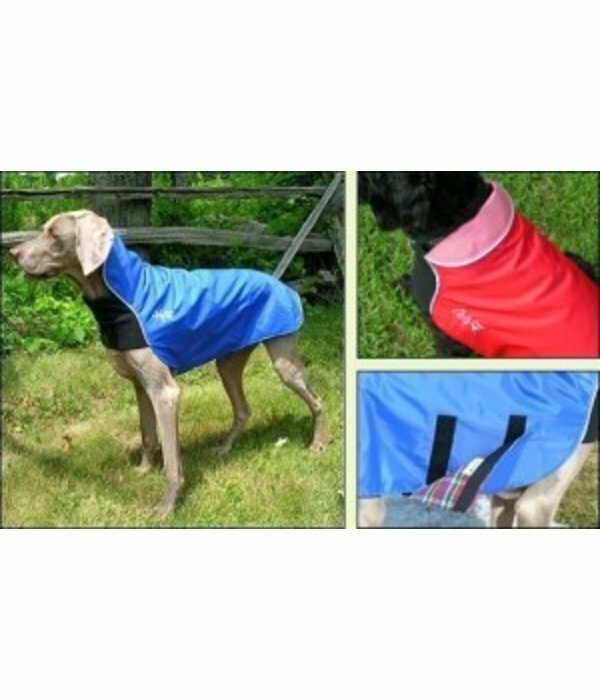 -3M Scotchlite reflective piping for night visibility and safety. -Hanging loop for storage purposes. This loop is not for the tail! 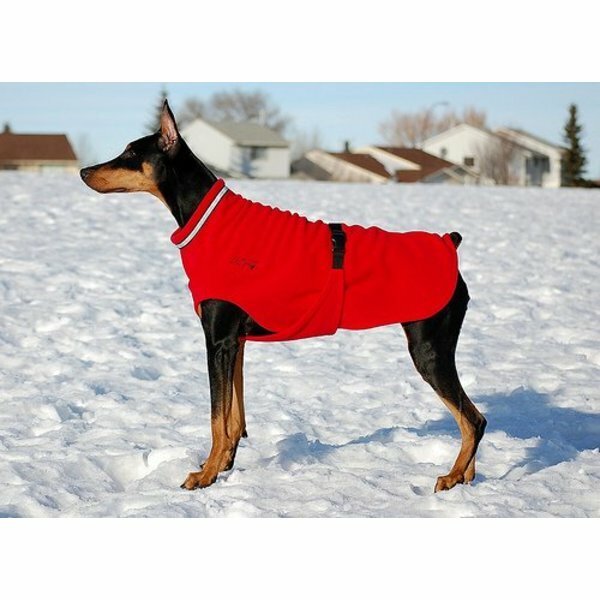 -The coats do not have a hole in the coat for a D-ring connection to the leash due to the varieties and styles of harnesses on the market. Each one having a different location of the D-ring. 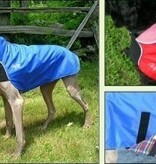 Just adjust the harness to be worn over the coat. -Skillfully designed and manufactured in Canada. 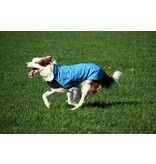 Chilly Dogs has a very extensive range, we try as much as possible to have all sizes in various colors in stock. If we do not have it in stock, the delivery time on average 2 to 3 weeks. Machine wash in cold water on gentle cycle. Wash with like colour load. Fasten buckle/velcro before placing in washing machine. Do not use bleach or fabric softener. 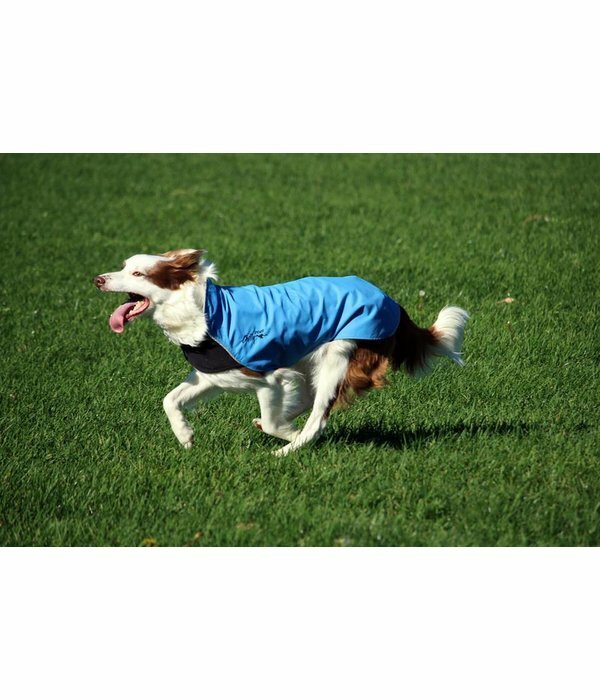 Fabric softener will prevent the fleece from retaining heat within the fleece fibers. Fasten buckle/velcro before placing in Dryer. Set Dryer on cool setting for 10 minutes then hang or lay flat to dry.